With the traditional approach to automotive infotainment RF tuner testing, the test engineers need multiple instruments to generate different broadcast and navigational standards. For each standard again multiple instruments are required to generate multiple carrier to test the some of the critical functionality of the infotainment systems such as channel search, Alternate frequency selection, emergency and traffic announcements etc. The universal radio signal generator platform based on NI PXI hardware and software toolkits powered by LabVIEW enables testing all the functional and performance tests using single PXI hardware. The universal radio signal generator uses the following LabVIEW add-on toolkits to generate the various broadcast and navigation standards. 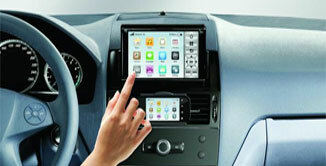 Automotive infotainment system is growing rapidly because of the advancement in technology. More and more new technologies and devices are integrated into the system. Connected automotive infotainment is becoming a must have feature for car manufacturers. One of the major challenges in the infotainment system testing is the ever-growing number of standards and protocols that are in place for audio and video broadcast, navigational standards and cellular standards. This involves being able to validate the device under test's capability with each standard individually, forcing the test platform to be flexible enough to do so. 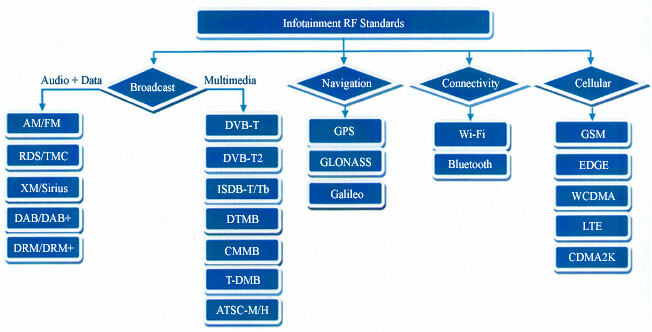 Most of the infotainment tests are functional tests which require multiple carriers to be generated to validate the functionality of the infotainment RF tuner. For example to validate the channel search functionality, the test system should be capable of generating multiple carriers. Traditional instruments are capable of generating only one standard and one carrier can be generated a time and do not havethe flexibility to adapt to the newer standards. Engineers in the automotive industry face new challenges with information systems, which now introduce additional I/O like audio, video and RF signals into systems that already have other sensor measurements. 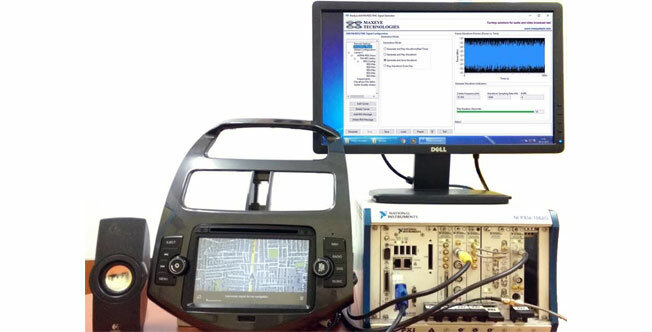 MaxEye In-vehicle infotainment test solution is powered by National Instruments PXI Platform, Universal Radio Signal Generation Software and LabView add-on toolkits. NI PXI platform combined with powerful software toolkits and APIs enable engineers to perform complicated tests on the many different I/O types at the same time using one chassis. The National Instruments PXI platform is ideal because of the modular hardware platform that can be reconfigured with key software tools. 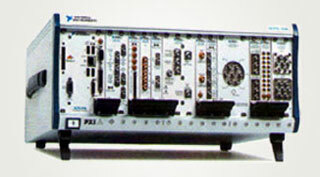 For example, the same vector signal generator from National Instruments can be used to simulate GPS signals and can then be re-programmed to broadcast and simulate digital video broadcast or DAB. 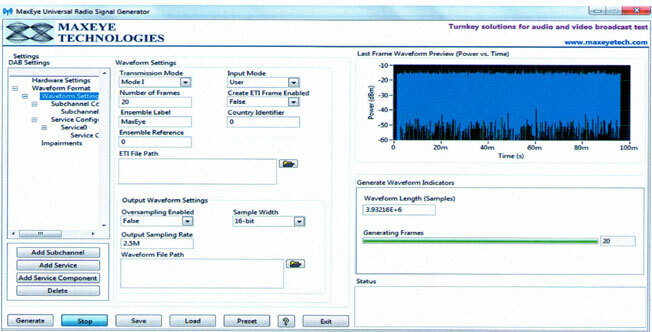 The real time bandwidth of the NI VSG (100MHz) Combined with real time streaming capability of the generated waveform from the PXI controller enabled Universal Siganl Generation software to generate multiple carrier signals simultaneously. This unique feature enabled testing of various system level functionalities of the infotainment DUT using single PXI platform. Also visit: National Instruments website to Buy Our Products Online. Send your Feedback about this product.